For someone that can't stand the thought of seafood or the smell of the ocean, I am oddly obsessed with mock tuna salads, especially in summer. Every time I am at a new restaurant and see a mock tuna salad on the menu I have to try it. My obsession finally got to the point where I knew it was time to make my own version so I could have it whenever I wanted. So I did. I have eaten this tempeh "tuna" salad every week for the past six weeks... in cold sandwiches, on top of romaine salads, and grilled in flat bread. And I am still not tired of it. My guess is that it will become a favorite recipe of yours as well. I used tempeh to replace the "tuna" in this recipe. Tempeh is cooked and fermented soy beans that have had a bacteria starter added to them and then were held at 86 degrees for 24 - 36 hours. Tempeh is a very digestible form of soy and is full of protein - making it a perfect entree in a vegan meal. Tempeh has a very unique taste and I have often heard it described as "nutty," "earthy," or similar to the flavor of mushrooms. I love the flavor of it mixed in with the creamy "mayo" and crunchy celery in this recipe. Yum! Crumble tempeh and mix with the red onion, green onion, celery, relish, mayo and brown mustard. Serve cold on salads or grilled in a sandwich. 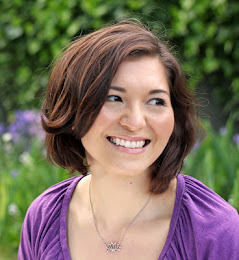 Sonnet Lauberth is a holistic health coach, food educator, blogger, and writer with a passion for helping people lead fuller, healthier lives. Visit her food blog, For The Love of Food, for seasonal, plant-based recipes and tips on sustainable, healthy living. Hi Ruth…thanks for the tip…do you have a recipe for that avocado mayo? I’d so like to avoid the store bought stuff!